Where Would the Super Bowl Be Without Plastic? 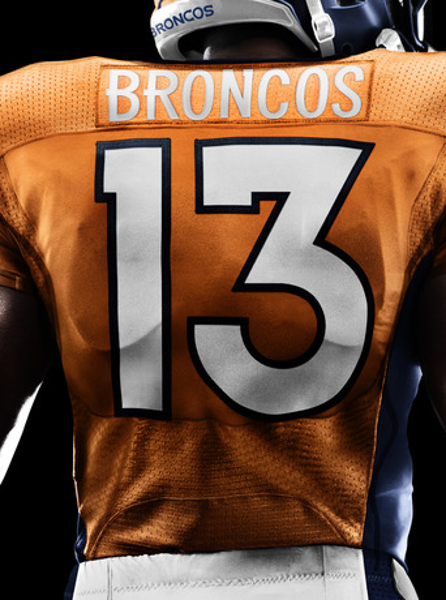 NFL uniforms are pretty amazing, let’s admit it. They’ve changed a lot since the NFL was founded back in 1920. I did some research and it turns out that all NFL teams, including the Seahawks and Broncos, wear the Nike Elite 51 uniform due to a partnership between Nike and the NFL. This highly engineered uniform includes everything from jersey to socks to cleats to even padding. It combines nine different materials in order to make the uniform lightweight, easy to move in, and resistant to tears. Nike’s fairly tight-lipped about what those materials are specifically-but my best guess is nylon and some other synthetic plastic materials. The cleats themselves use a carbon fiber insert in order to both increase strength and protect the foot. Nike even has its own sports research lab in Oregon where scientists investigated at which exact locations the uniform was most likely to rip or become moist from sweat. Nike was then able to either stitch in extra fabric or add vents, as appropriate. Football and concussions are an all-too-frequent combination. The NFL is actively working to combat the frequency of concussions received during games. Just this past September, the organization announced a $10 million incentive program to encourage the development of a better helmet. The NFL’s Head, Neck, and Spine Committee has also developed sensors that can be inserted into helmets to detect which part of the head suffers the most trauma during play. The NFL is slowly outfitting teams with this technology. This kind of research can have a big impact (no pun intended) on all aspects of the game. In fact, in 2011 the NFL moved kick-offs from the 35 yard to the 30 yard line in order to reduce the number of collisions. 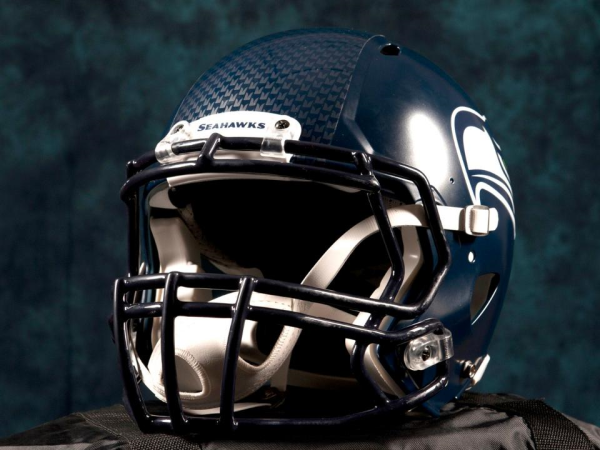 What are NFL helmets currently made of? The outer shell is made of polycarbonate and the face masks are made of steel wire with plastic coating. The inside of the helmet is often filled with polypropylene foam and vinyl nitryl foam. These materials may change in the future as the NFL looks for ways to improve football helmets. One last fun fact about football helmets-did you know that that quarterbacks have speakers in their helmets? Every NFL team is allowed one helmet on the field at the time that has a speaker so that the coach can communicate with players on the field. This helmet is delineated by a small green dot on the back, so keep an eye out for that on Sunday! The MetLife Stadium is only 3 years old but renovations still needed to take place in order to make the stadium ready for its first-ever Super Bowl. 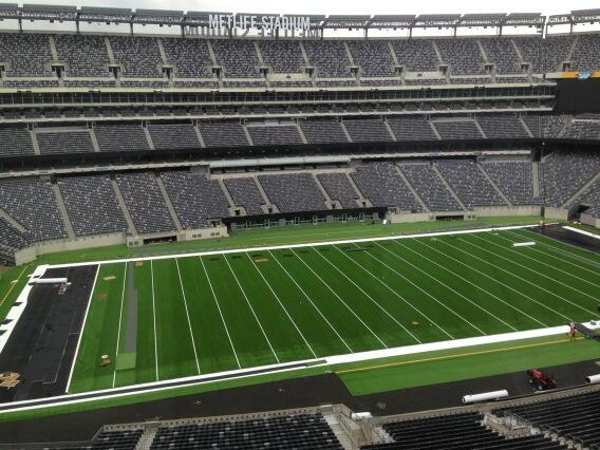 The brand new turf they chose to install is called UBU Sports Speed S5-M Turf System. This synthetic turf has a polyurethane backing and infill made of a mix of 30% sand and 70% rubber. The blades of synthetic grass themselves are made out of what UBU calls “Harmony Fiber.” I tried to find out exactly what this is without success but you can be sure it’s some sort of synthetic plastic material. Most professional stadiums use synthetic turf. The few exceptions to this rule are a few stadiums in fair climates like San Diego. These stadiums use real grass. Without plastic, playing a Super Bowl game in a Northeastern stadium in February would be impossible. According to the Stadium’s Sustainability webpage, all of the stadium seating was made from recycled plastic and scrap iron. There are many other uses for plastic on the field, including mouth guards, shoulder pads, knee pads, and much more. Can you think of any other uses? Who will you be cheering for on Sunday? Let us know in the comments section below. Looking for a plastic strong enough to survive the Super Bowl? 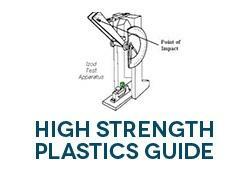 Check out our complimentary guide to high strength plastics.